Angel Talk Videos | The Follow Me Foundation, Inc.
"A Journey with My Spiritual Companions"
Susan Reynolds holds Angel Talks whereby the Spirit of God is allowed to be expressed freely and shared with others. This is also an opportunity to talk with others about the miracles and happenings that they have experienced along with a short meditation to open the heart. 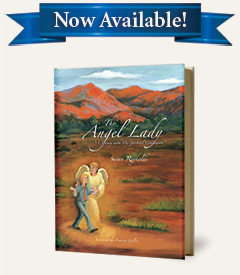 These videos also contain stories from contributors to the "The Angel Lady" book.